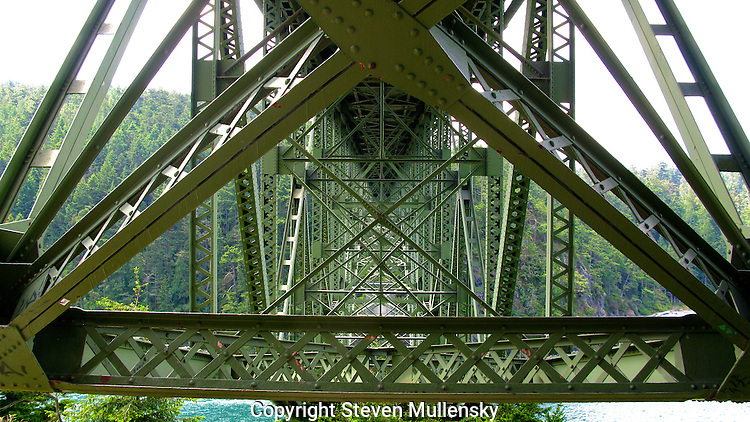 Under the bridge that spans Deception Pass in Washington State. Deception Pass is a strait separating Whidbey Island from Fidalgo Island, in the northwest part of the U.S. state of Washington. It connects Skagit Bay, part of Puget Sound, with the Strait of Juan de Fuca.